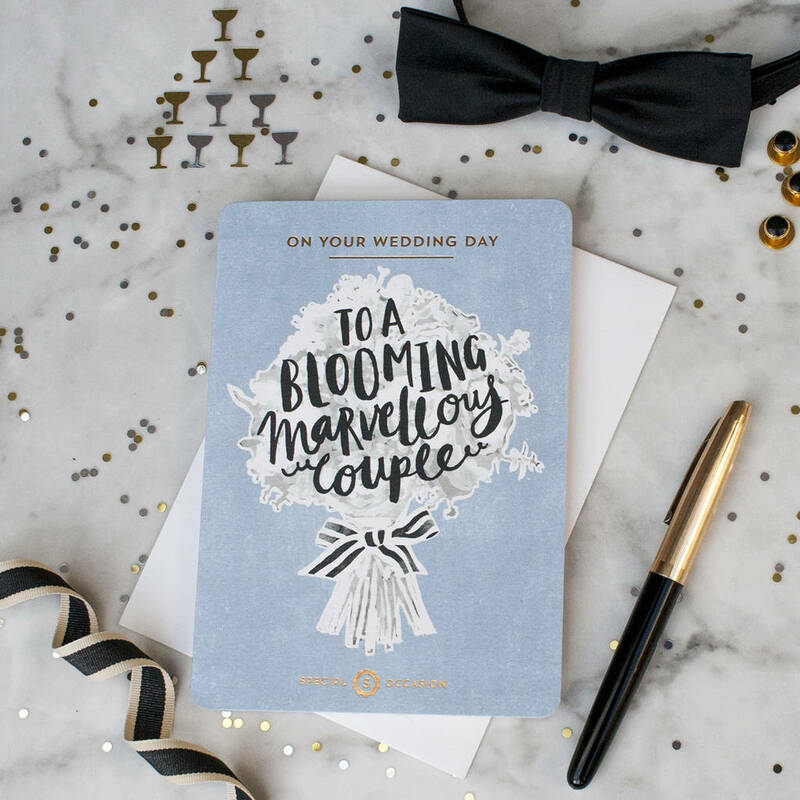 A beautiful emotive card with a silhouette of a bouquet of wedding flowers with the words 'To a blooming marvellous couple'. Gold foiled. 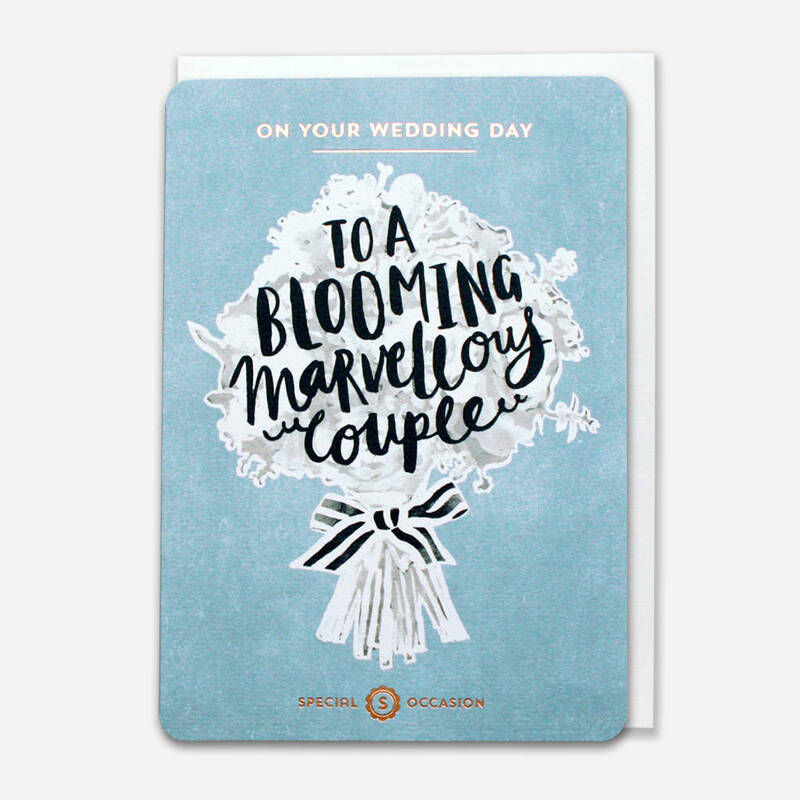 A beautiful emotive card with a silhouette of a bouquet of wedding flowers with the words 'To a blooming marvellous couple' inside it. 'On your wedding day' and 'Special Occasion' is printing in Gold foil. The card is blank inside for your own message. An ideal card to give to a couple on their wedding day. This card is created from hand painted designs made with brush and ink which gives the pattern a unique, rich texture where the individual brush strokes are clearly visible. The design is then litho printed with a bold base colour and then foiled to give the card a luxury look.